A chair is more than a piece of furniture. It can also symbolize the person who sits there. In many homes a family member has a preferred chair, and others won't sit there out of respect. In offices, in boardrooms and even at the dining, room table, some seats are just sacred. At church the presider's chair is more than a chair. He doesn't just sit there. He stands there to lead the assembly in prayer. The priest who presides at Mass stands at the chair for the opening rites, sits in the chair for the Scripture readings and stands at the chair again for the communion prayer and concluding rites. He may also preach from the chair if he wishes. 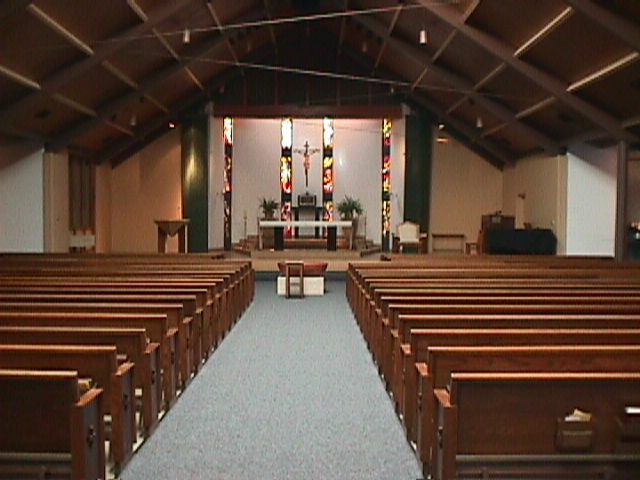 A typical sanctuary contains four distinct areas designated by furniture: the altar, the ambo, the chair and the seats for the assembly. All four are important visuals. The altar gathers us together for the eucharistic prayer, the heart of the Mass. The ambo holds the Scriptures for the Liturgy of the Word. The presider's chair focuses our attention at the beginning and at the end of the service because it establishes the role of one who leads us in prayer. 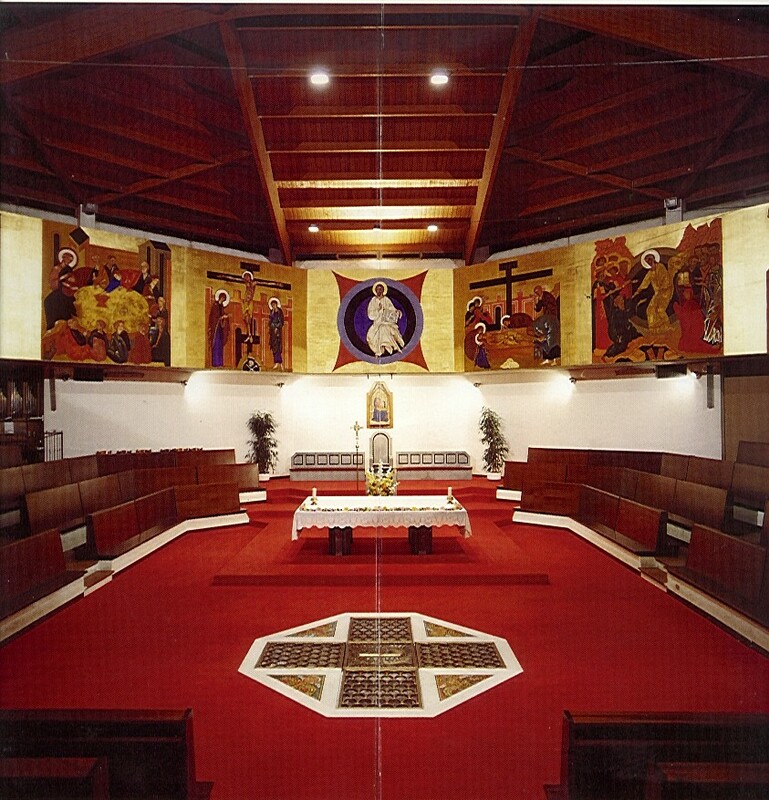 In the early church, the chair was positioned in the apse behind the altar. 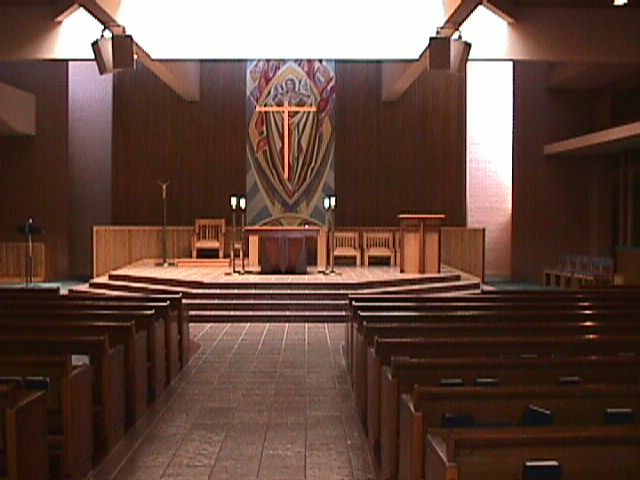 When the altar was moved to the back wall, the chair was relocated to one side of the sanctuary, facing the opposite side. Today the presider faces the assembly from the chair. It may be placed against the back wall. 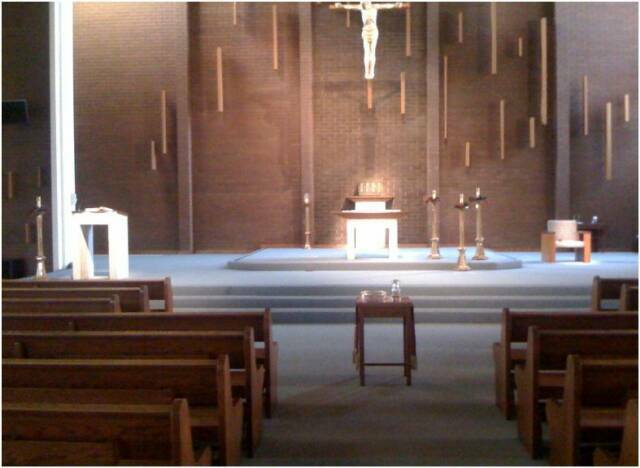 In churches where the tabernacle occupies that space the chair should stand to the side. The presider's chair should not seem too remote from the assembly because the priest is not a performer to be watched but a leader engaged with all those gathered together. Ideally the position and structure of his chair identifies the priest as one with the people yet also as their leader. Assembly? Is the chair in such a place that the priest seems a part of the assembly?